Recreate Sasuke's look with these amazing Sasuke Contact Lenses. 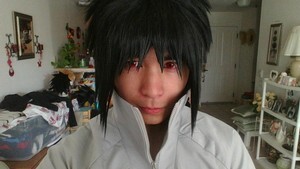 These lenses have a bright red color and black detailing just like Sasuke's Sharingan. They are perfect for Sasuke cosplay, Halloween costumes and photoshoots.